enter a year YYYY and click 'show' to view the entire year overview. What are First Day Covers? These Post Office stamps were affixed to specially designed envelopes and postmarked on the first day that the stamps were issued. 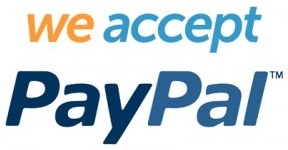 Why not take a look at other items on a similar theme? 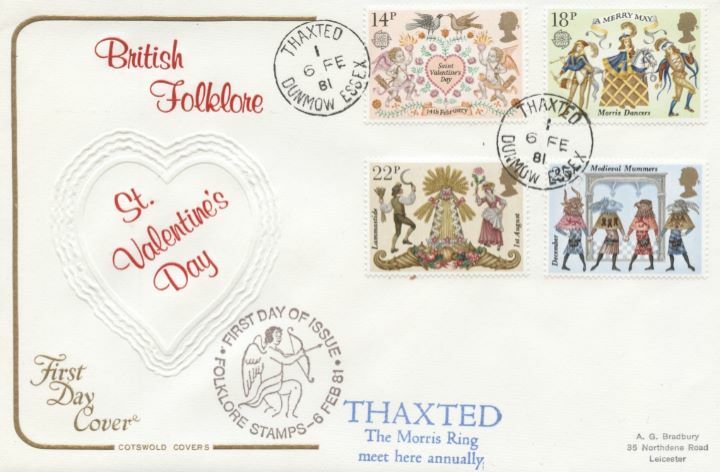 The above Royal Mail Folklore stamps were issued on 06 February 1981 by Royal Mail and feature the following stamp designs: 14p St. Valentine's Day; 18p Morris Dancers; 22p Lammastide; 25p Medieval Mummers. The Thaxted Pmk first day cover with the Thaxted CDS Postmark postmark has been produced by Cotswold and features these stamps which can make a very collectible and lovely gift. The most powerful and easy-to-use Philatelic Organiser ever!